in this issue of Jacket. 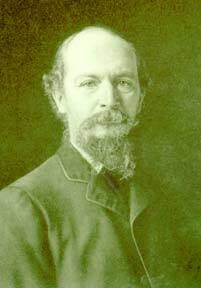 1837 On April 5, Algernon Charles Swinburne is born in London to naval captain (later admiral) Charles Henry Swinburne, second son of Sir John Edward Swinburne, and Lady Jane Swinburne. 1856–59 Attends Balliol College, Oxford. Swinburne becomes close friends with Oxford professor and famous classicist Benjamin Jowett. 1856 Swinburne meets the Pre-Raphaelite painters and poets Dante Gabriel Rossetti, William Morris, and Edward Burne-Jones while the three are at work painting fescoes in the Union Debating Hall at Oxford. This was the beginning of a lifelong friendship with the Rossettis and other Pre-Raphelites. 1862–64 Lives with Rossetti and Morris at Chelsea. Notes on Poems and Reviews, a response to his critics. 1868 William Blake: A Critical Essay. 1872 Under the Microscope, a reply to Robert Buchanon’s ‘The Fleshly School of Poetry’ (1871), an attack on the Pre-Raphaelite poets, Rossetti, Swinburne, and Morris. 1875 Songs of Two Nations. 1876 Erechtheus, the second of Swinburne’s two classical dramas based on Greek myth. 1877 Swinburne’s father dies in March. 1878 Poems and Ballads, Second Series. 1879 Near death from alcohol abuse, Swinburne is taken from his London rooms by friend Theodore Watts (later Watts-Dunton). Swinburne lives with Watts at ‘The Pines’ in Putney for the rest of his life. Watts helps Swinburne recover from his problem with alcohol, and Swinburne henceforth lives a much quieter life. 1875 A Study of Shakespeare. The Heptalogia, or The Seven Against Sense. 1882 Tristram of Lyonesse and Other Poems. 1885 Marino Faliero, a blank-verse drama. 1889 A Study of Ben Jonson. Poems and Ballads, Third Series. 1892 The Sisters, a blank verse drama with a contemporary setting. 1894 Astrophel and Other Poems. Studies in Prose and Poetry . 1896 The Tale of Balen. Swinburne’s mother, Lady Jane Swinburne, dies. 1899 Rosamund, Queen of the Lombards, a blank-verse drama. 1904 A Channel Passage and Other Poems. 1905 Love’s Cross-Currents, a novel first published in 1877 as A Year’s Letters under the pseudonym Mrs. Horace Manners. 1908 The Duke of Gandia, an unfinished blank-verse drama. 1909 Three Plays of Shakespeare. On April 10, Swinburne dies of pneumonia at the age of seventy-three.